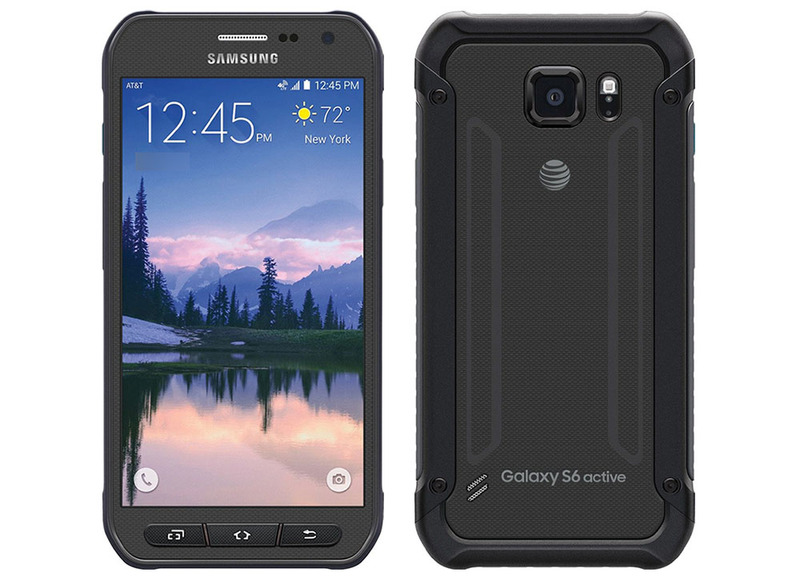 Without any official announcement from AT&T or Samsung yet, the Galaxy S6 Active is now up on Samsung’s site, just waiting for people to acknowledge it. Last night, more photos of the device hit the web, but thanks to Samsung’s website, we now have full specifications and user manuals for the phone that details everything we may want to know. For specs, the GS6 Active features a 5.1″ Super AMOLED QHD display (same as on the Galaxy S6), an Exynos octa-core processor, 32GB of onboard memory, no expandable storage, a non-removable 2,550mAh battery, 16MP rear-facing camera (with special underwater shooting mode), and Android 5.0+ out of the box. If you are feeling a bit active on a weekend, the device also has an Activity Zone app, capable of relaying Barometer, Weather, Compass, and S Health information, conveniently accessible via a dedicated button in the top left hand corner of the device. This Active button is also customizable in what it can perform. And yes, the phone is waterproof. According to the manual, the S6 Active is water-resistant and dustproof at an IP68 rating, relating to 1.5 meters of submersion for 30 minutes. Again, without any word from Samsung or AT&T, we have no idea when to expect the device, or for how much. As soon as it is made official, we will let you know. Thinking about getting an Active?